Annica Black Schaffer (Uppsala) Black_Schaffer. Paul C. Canfield (Ames) Canfield_1 and Canfield_2. Pol Forn (Barcelona) Forn_1 and Forn_2. Konstantin Guslienko (San Sebastián). Gusliyenko_1 and Gusliyenko_2. Dieter Kölle (Tübingen). Koelle_1 and Koelle_2. Francesco Tafuri (Naples)Tafuri_1, Tafuri_2, Tafuri_3, Tafuri_4, Tafuri_5, Tafuri_6 and Tafuri_7. The talk about A.A. Abrikosov by A. Varlamov is at Varlamov_Abrikosov. A School on quantum materials and accompanying workshop on vortex behavior in unconventional superconductors (WG1 and WG3) will be organized within the framework of the COST Action “Nanoscale coherent quantum hybrid devices for superconducting quantum technologies”. 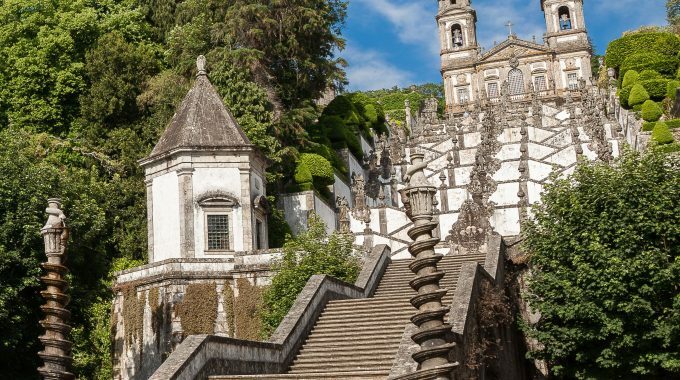 The meeting will take place at the “bom jesus” site close to the city of Braga, in Portugal (www.hoteisbomjesus.pt) from the 8th to 12th October 2018. We will welcome participants during the afternoon of the 7th of October . The scientific program will start on the 8th in the morning and continue till the 12th of October around lunch time. We plan to make a trip to the city of Porto on Wednesday 10th in the afternoon. We seek participation of PhD students and young postdocs that are working on one of the themes of the Action and on other related subjects. All interested participants should submit an application before 29th June 2018 using the form available below. No registration fee will be raised for participants of the countries included in the COST Action. The COST Action will, in addition, support a limited amount of participants covering travelling, full board and accommodation. To optimize funds, we will communicate the level of support together with abstract acceptance during the first week of July 2018. Design and characterization of quantum materials. Strong correlations in quantum materials. Quantum transport and SQUID technologies. Topological properties of quantum materials. Vortex behavior in thin films. Vortex pinning in d-wave superconductors. We will soon announce the list of lecturers of the school and of invited speakers for the workshop. Schedule. We expect the workshop to end early Friday afternoon and will organize buses from and to Braga bus station. Braga bus station can be conveniently reached using this service. Please download the registration form and submit it per email to meetings.nanocohybri@uam.es. Please download the abstract form and submit it per email to meetings.nanocohybri@uam.es. VERY IMPORTANT: Mention your name, institution and NANOCOHYBRI2018 on the bank transfer and send a copy of bank receipt by email to meetings.nanocohybri@uam.es. In addition, these participants have to arrange their accommodation as indicated below. – 127€ per person/night including full board in single room. – 95€ per person/night including full board in shared room. Write an email to grupos@hoteisbomjesus.pt, indicating your preferred option and eventually suggesting the person with which you share the room. In the subject of the email you should indicate “NANOCOHYBRI-2018”. Please also CC meetings.nanocohybri@uam.es. – Payment by bank transfer: The applicable amount should be transferred to Novo Banco IBAN: PT50 0007 0693 0000 2610 0091 7 (SWIFT / BIC: BESCPTPL). The bank transfer proof-slip should be sent to grupos@hoteisbomjesus.pt. You must also indicate full name, institution and arrival and departure dates. 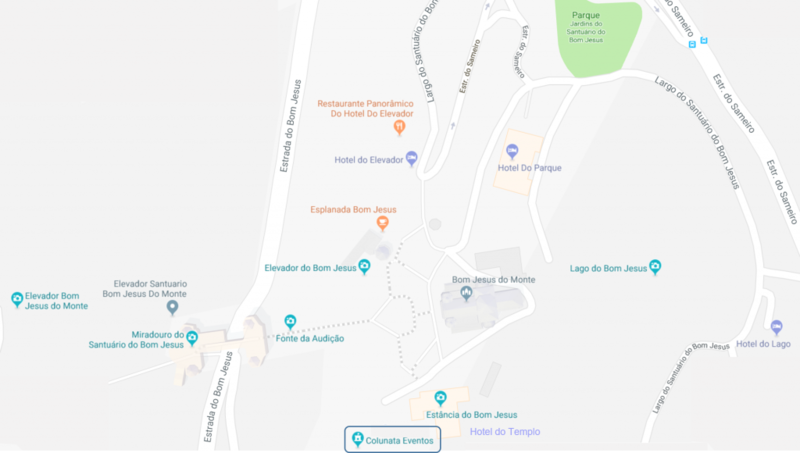 – Payment by credit card: You must write an email to grupos@hoteisbomjesus.pt and indicate full name, institution, arrival and departure dates and give them the details of your credit card (number, expiry date and security code in the back). The event will be held around the Bom Jesus site, with an astonishing view of the city of Braga. In the hilltop there is the XVIII century sanctuary surrounded by a large park with several gardens, artificial lakes, and other infrastructures. Conference will take place at the Sala Torre, in the first floor of the Colunata Events and lunch and dinner will be served at the Sala Colunata (except on Monday, where dinner will be served at the Sala Arcada close to the garden of the Hotel Elevador). See https://en.hoteisbomjesus.pt/otros-eventos/. We will arrange different shuttle services depending on the arrival and departure times and will inform you about available options in due course. If none of these suit you, we recommend to use the direct shuttle service GetBus www.getbus.eu. The last century left us with the conceptual framework to understand and handle macroscopic quantum coherence. Superconductivity is an established form of macroscopic quantum coherence that surprises regularly the scientific community with new discoveries and has already created new markets thanks to the dissipationless transport of electrical current. We can expect a quantum leap in the societal impact of superconductivity during the coming decades through current carrying applications as well as novel quantum technologies. The objective of this meeting is to train students in quantum materials and provide a bridge between present and future activities of the groups participating in the Action. Among the previous collaborative projects, where many of the present participants have been involved, there is a series of Actions within the extinguished ESF scheme (Vortex action, Nanoscience and Engineering in Superconductivity-NES, see https://www.kuleuven.be/inpac/nes/conferences.html) and more recently the COST Action on nanoscale superconductivity (MP1201, Nanoscale superconductivity: novel functionalities through optimized confinement of condensate and fields). Within these projects a large set of networking activities have been organized (see https://www.kuleuven.be/inpac/vortex/). These have allowed to configure the presently active COST Action NANOCOHYBRI. We aim now at a step forward, using the obtained experience and making an open and proactive approach towards quantum materials and quantum technologies. Irene González Martín (Universidad Autónoma de Madrid). For any question, please send send an email to meetings.nanocohybri@uam.es.